Resolute’s core values include accountability and sustainability. One of the ways we demonstrate our commitment to these values is by creating opportunities for open and transparent outreach with stakeholders in the communities where we operate. In April, our Fairmont (West Virginia) pulp mill welcomed a group of local leaders to visit the operation, one of just three mills in the world that produces air-dried recycled pulp. The group of key local stakeholders included elected officials such as the mayor, deputy mayor and a city councillor for the town of Fairmont, as well as two county commissioners and the local representative for Senator Shelley Moore Capito. Representatives from Fairmont’s Chamber of Commerce, the Fairmont Solid Waste Authority, Fairmont State University and Pierpont Community & Technical College were also in attendance. 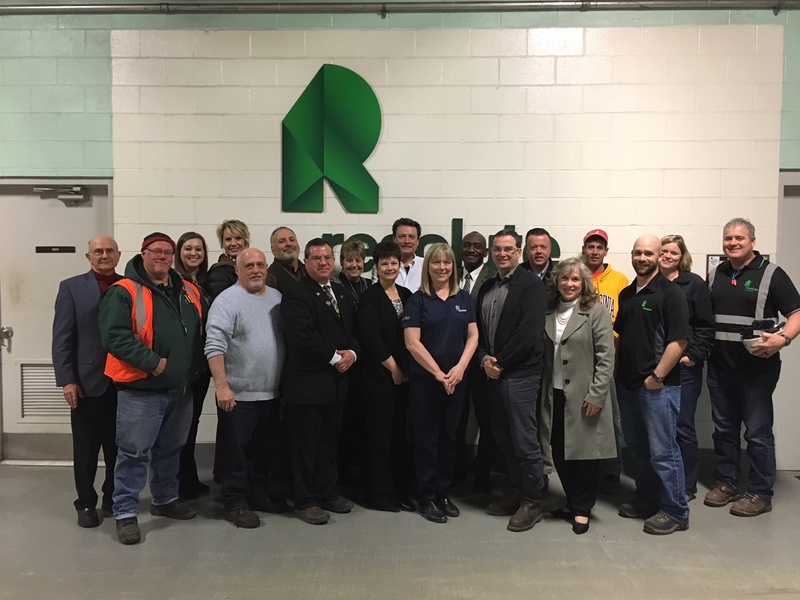 General Manager Gerry Clapperton spoke to the group about the operation’s community engagement efforts and sustainability initiatives, such as the process through which three cubic yards of landfill space are spared with each ton of paper recycled. One hundred percent of the pulp produced at the mill is recycled – designed to replace virgin fiber in a variety of paper applications. The group discussed other ways to reduce environmental impacts throughout the region. Our Fairmont mill is committed to supporting these efforts and has erected a roadside billboard to feature sustainability initiatives over the coming years. Building solid relations in our operating communities is a primary area of focus of Resolute’s sustainability strategy. Exchanges such as this one help to cement our role as a valuable local partner and foster long-term progress in our operating communities.